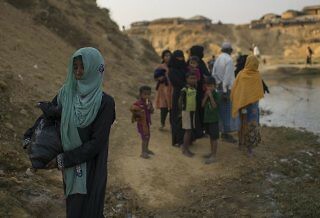 Can Growing Pressure on Myanmar Bring Change for Rohingya? 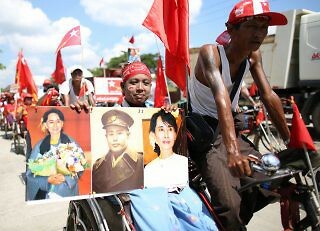 Because of her international stature as a democratic icon, there are usually high expectations placed on Aung San Suu Kyi. Despite many ethnic groups lacking sizeable representation in parliament, Myanmar’s next government needs their support to continue pursuing a peaceful solution to the ongoing conflicts in many parts of the country. The poll is also important in furthering the process of national reconciliation between the government and the many armed groups in the country. 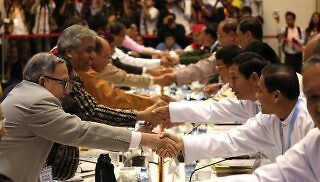 Though some of these groups signed a ceasefire agreement with the government of President Thein Sein in October, the majority wanted to wait and see how the next government would handle the peace process. The most significant outcome of the summit is the emergence of unity among armed groups on the general principle that a nationwide ceasefire cannot happen if some groups are left out to defend themselves.